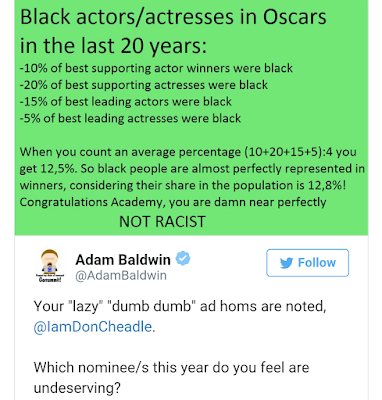 Ever since the Motion Picture Academy announced the nominees for the 2016 Oscars, there have been some heated discussions on social media regarding the diversity– or lack thereof– displayed by the Academy’s choices. 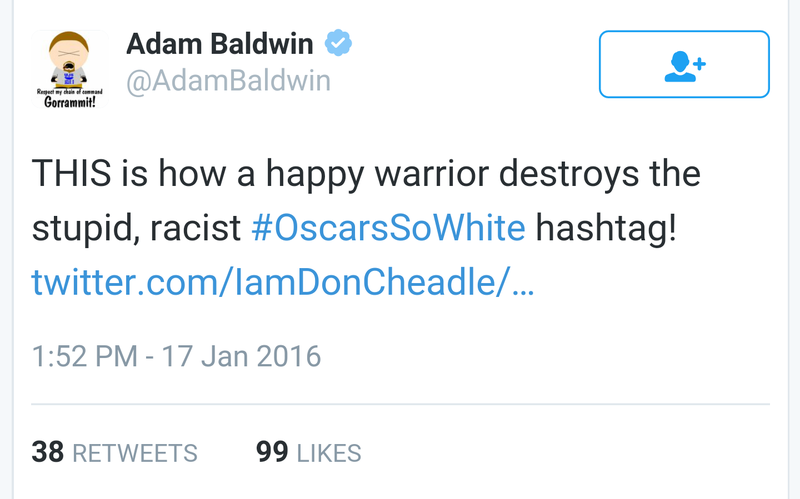 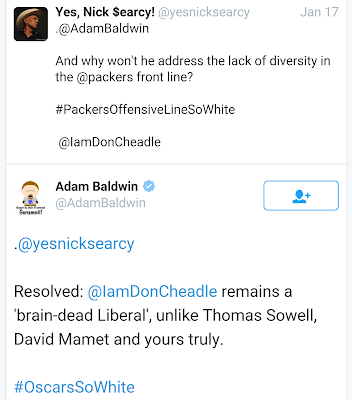 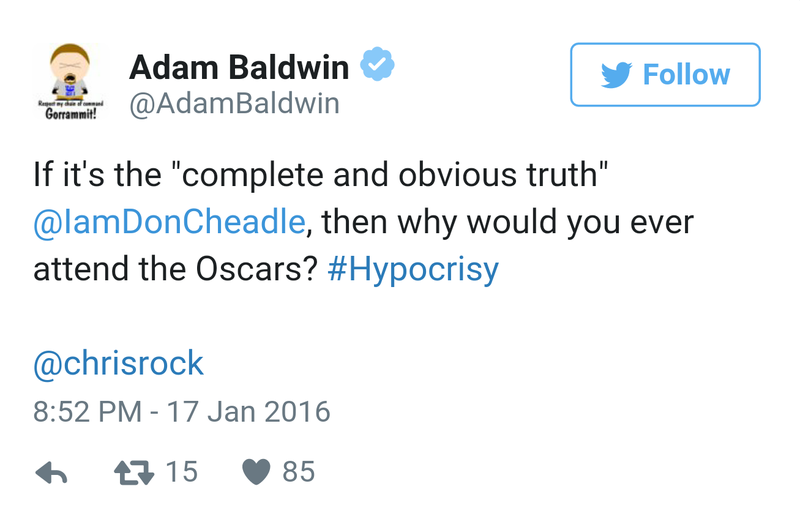 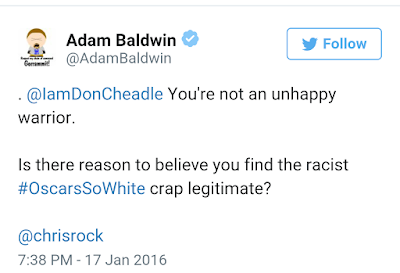 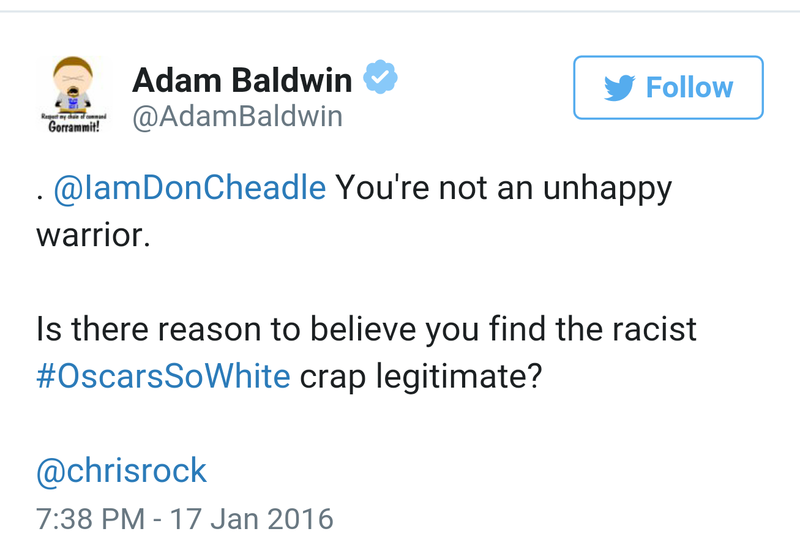 Nowhere has this been more apparent than Twitter, where #OscarsSoWhite has become an ongoing trend. 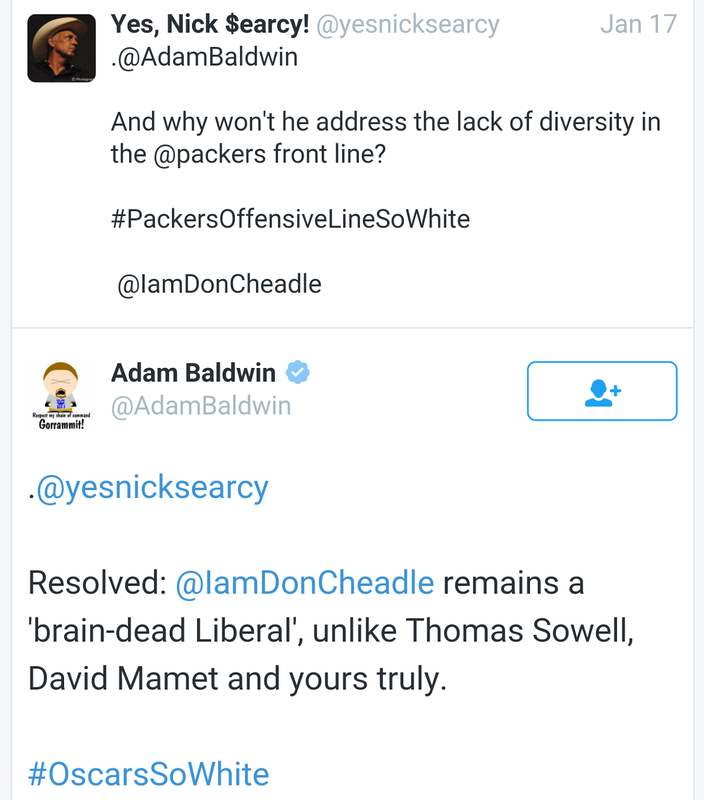 Cheadle stopped replying after that. 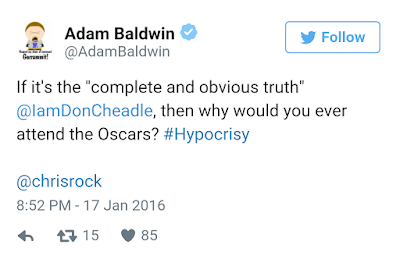 It may also be interesting to note that between the two actors, Cheadle is the only one who has ever been nominated for an Oscar. 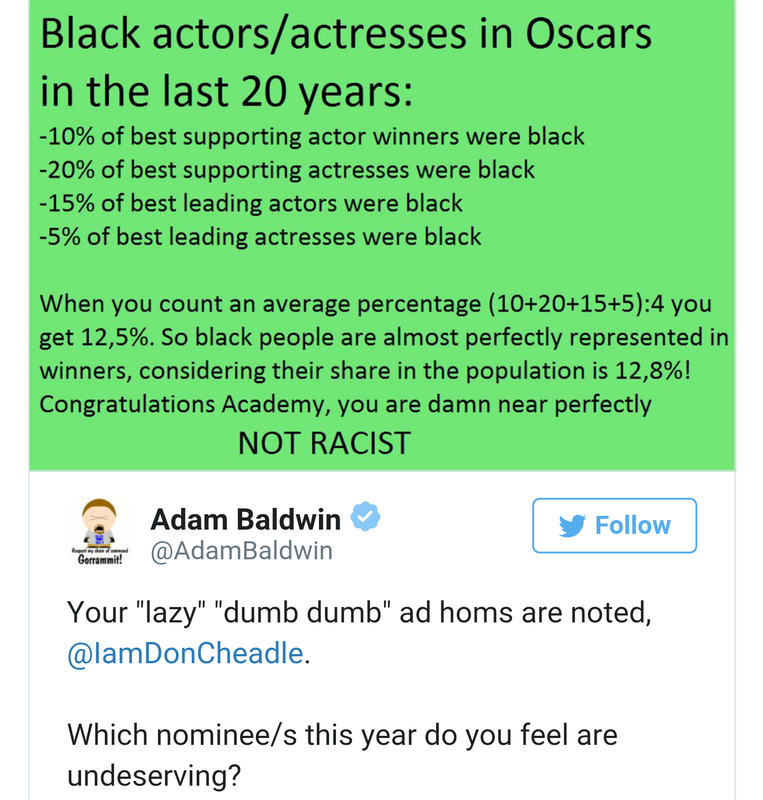 In addition, IMDB notes that Cheadle has 36 nominations and 8 wins from other groups that by definition exclude white actors.